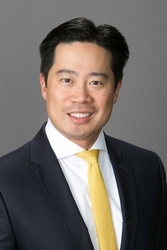 Henry T. Chou is a partner in the Princeton, N.J. office of Hill Wallack LLP. He is a member of the Business & Commercial Services, Foreign Direct Investment, Life Sciences, Venture Capital and Emerging Markets, Renewable Energy & Sustainability, Land Use and Environmental practice groups. He concentrates his practice in areas of mergers and acquisitions, venture capital transactions, corporate and employment law, environmental permitting, renewable energy projects, commercial real estate transactions and land development matters. He has represented domestic and foreign companies, public entities and non-profits in a wide variety of commercial, employment, environmental, renewable energy and land use matters. He has also represented foreign entities in various corporate matters related to their investments and transactions in the United States. Mr. Chou is admitted to practice in the State Courts of New Jersey (2000) and Pennsylvania (2000) and the U.S. District Court of New Jersey (2000). He received his law degree from Rutgers Law School. Following law school, Mr. Chou served a judicial clerkship with the Honorable Lawrence M. Lawson, Assignment Judge of Monmouth County. He is an honors graduate of the University of Georgia. Mr. Chou is proficient in Mandarin Chinese. Advises companies in their acquisition and development of commercial real estate in the U.S. Advises domestic and foreign companies on joint ventures and mergers and acquisitions in the U.S.